Home › News › Quo vadis, Dynamics 365 for Project Service Automation? About four years ago, Microsoft started developing a comprehensive project management solution that would later become known as Dynamics 365 for Project Service Automation (or: PSA, for short). During this process, proMX was consulted to test the solution and provide feedback. A working relationship that has continued to this day. PSA eventually became available in late 2016 and is a part of the Microsoft Dynamics 365 (MD 365) suite of business apps, able to be deployed as a stand-alone solution or in conjunction with other modules of MD 365. If you are already using the app or have been pondering introducing it in your organization and have thus kept a close eye on PSA developments, you will have noticed that there has not been too much news of late and that the rate of updates since the first release has varied. However, exciting things are happening in the PSA world. Before we let the cat out of the bag, let us take a look at Microsoft’s project management portfolio to understand which other tools there are and where PSA fits in. Microsoft Planner: The most basic tool in Microsoft’s project management arsenal helps teams organize their work through features like creating plans, setting up and assigning tasks, monitoring progress, sharing files, and chatting with other team members. Microsoft Project: Project is one of Microsoft’s star products. Available since 1984, it is part of the Office family. As a dedicated project management solution, it covers project, resource and portfolio management. Few project managers would want to miss this tried and tested software. 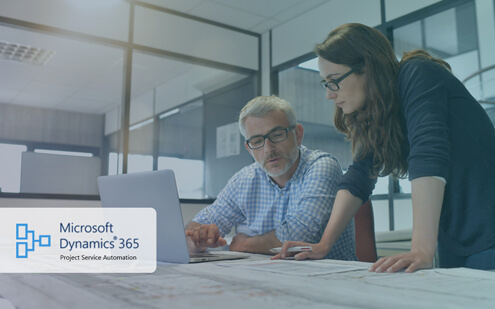 Microsoft Dynamics 365 for Project Service Automation: PSA is an end-to-end solution that directly addresses the needs of project-based enterprises or business entities and the many different players within them. In addition to planning capabilities, it also takes into account economic aspects of projects. It seamlessly connects to all other Dynamics 365 modules, such as sales or field service, and thus enables a complete business process in the same software. Microsoft Dynamics 365 for Finance and Operations: Finance and Operations is the ERP module of Dynamics 365. Thus, it takes somewhat of a bird’s eye view of projects, covering governance, risk and compliance aspects. It is important to remember that PSA is still a young product, the most current incarnation only being version 3. Release notes for the Spring ’19 update will become available on January 21, new features will be rolled out from spring through to the summer. The most important news about Dynamics 365 for Project Service Automation, however, were announced at Ignite, Microsoft’s annual conference for developers and IT professionals, back in September of last year. According to Ichimura, Microsoft has listened closely to the initial feedback to Dynamics 365 for Project Service Automation from partners and customers. There was great enthusiasm for the app and one frequent request: PSA ought to work more like Microsoft Project, which many businesses have been using for years and is firmly established in project management circles. The product team realized that they needed to bring both solutions together to deliver the best of both for businesses and enable an even broader range of customer use cases. To achieve this, the Dynamics team has collaborated more closely than ever before with their Microsoft’s Office 365 colleagues. Together they spent much of the last year laying the technical foundation for a convergence of both solutions. As a result, the next cloud-based version of Microsoft Project will run on the Common Data Service for Apps, which allows for an easier integration with other tools and systems that are also built on this platform. This change is expected to happen in the first half of 2019. If you would like to learn more about this development, contact us. Our experts will set up a call with you to answer any questions you might have. 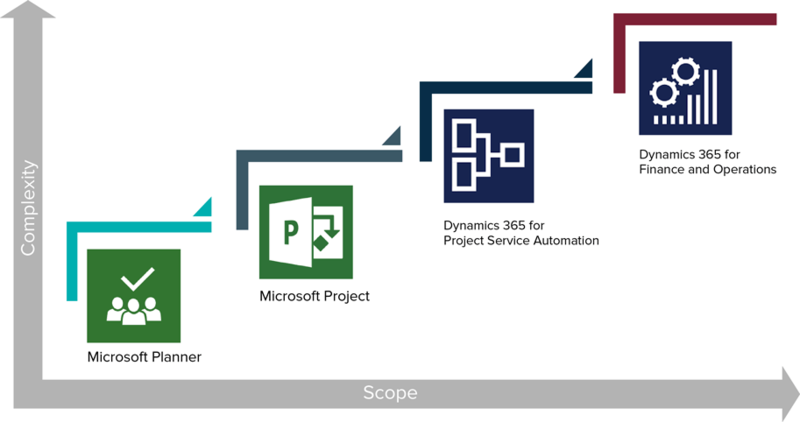 Would you like to get to know Dynamics 365 for Project Service Automation? Request a free webinar. We invite all Microsoft Dynamics 365 partners who would like to up their PSA expertise or get started in this area, to join our recently launched Project Service Alliance.